With distinctive styling, impressive safety features, and unmatched off-road capability, the Jeep Wrangler and Wrangler JK is the quintessential off-roading vehicle. Daytona Beach drivers looking for adventure can turn to the 2018 Jeep Wrangler and the 2018 Jeep Wrangler JK. The Jeep Wrangler and Wrangler JK maintain the interior comfort Daytona Beach and Ormond Beach drivers want while tackling off-road challenges. The 2018 Jeep Wrangler and 2018 Jeep Wrangler JK both boast trail rated status and proudly wear their trail rated badges. The Jeep Wrangler is built with the ground clearance to easily conquer any off-road obstacles drivers can throw its way. The 2018 Jeep Wrangler JK features premium off-road rock rails with tread plates that give Brady drivers added protection from rocks and boulders. The 2018 Jeep Wrangler has a starting MSRP of $26,995 while the starting price for the 2018 Jeep Wrangler JK is $23,995. Maximum towing capacities of 3,500 lbs. The Wrangler JK reaches an EPA-estimated 17 mpg city and 21 mpg highway, while the Wrangler achieves an EPA-estimated 18 mpg city and 23 mpg highway (with an automatic transmission). Explore Both Options at Daytona Dodge Chrysler Jeep RAM & FIAT! 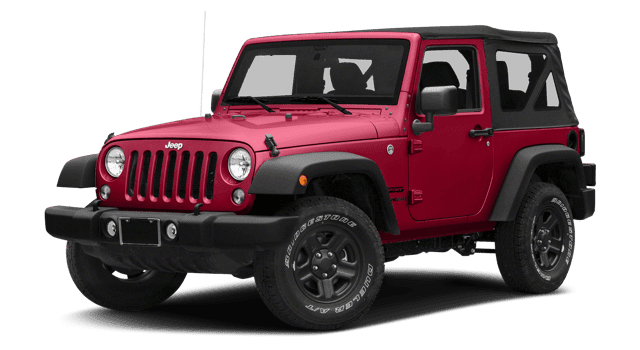 Compare the 2018 Jeep Wrangler to the 2018 Jeep Wrangler JK at Daytona Dodge Chrysler Jeep RAM & FIAT today. Contact us for help with financing, and reach us online for any other questions you may have.